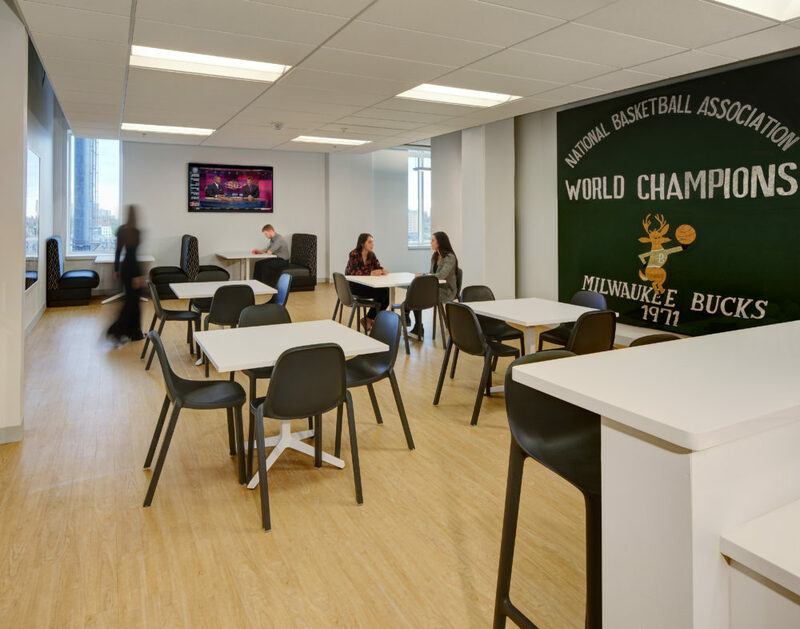 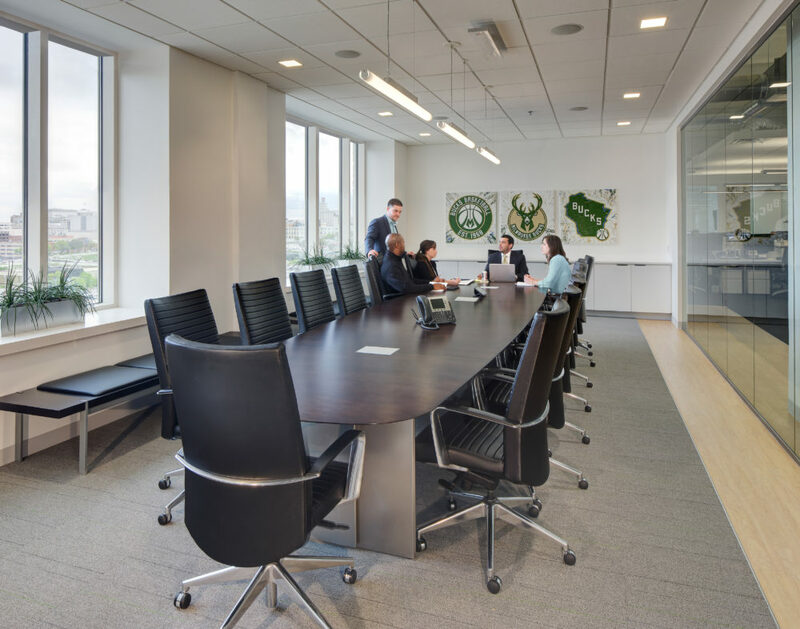 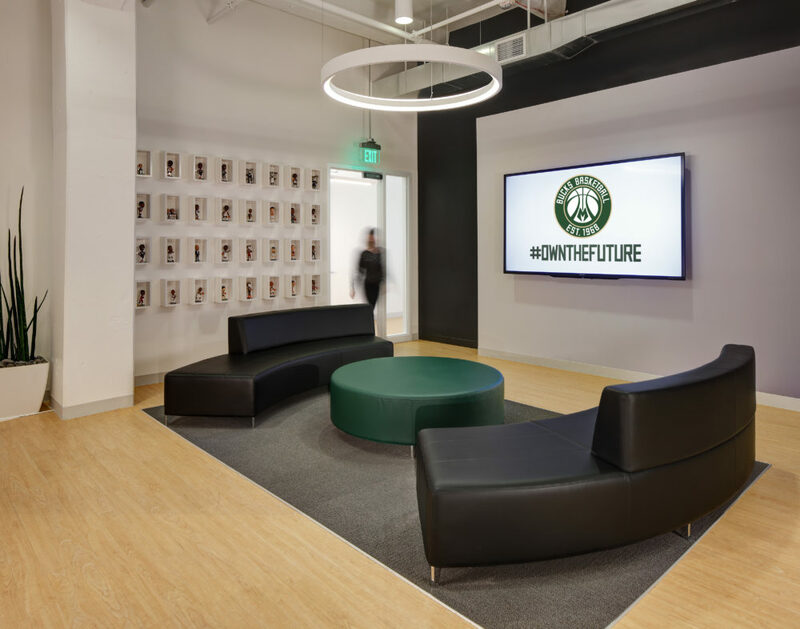 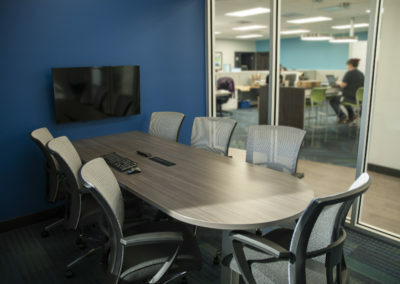 Creative Business Interiors recently completed a furniture project for the Milwaukee Bucks’ new Administrative Offices located at the Schlitz Park Stockhouse. 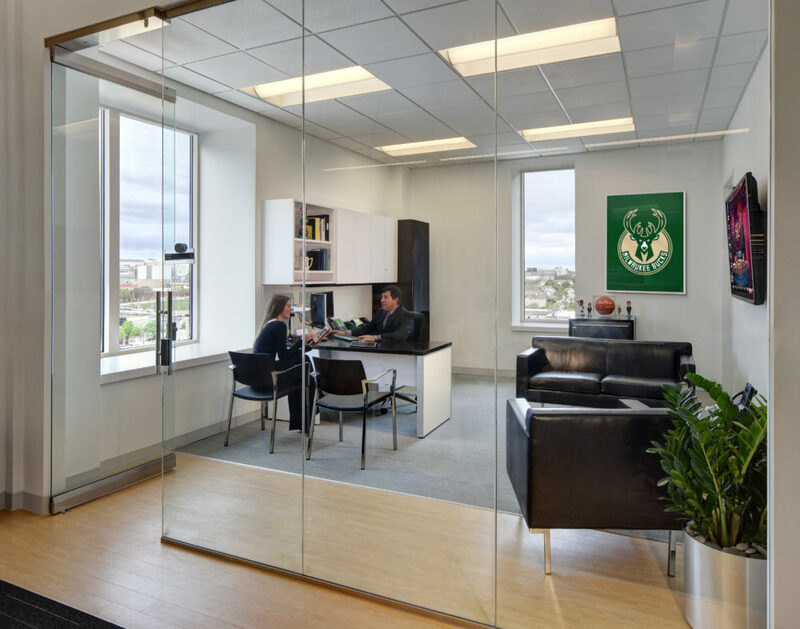 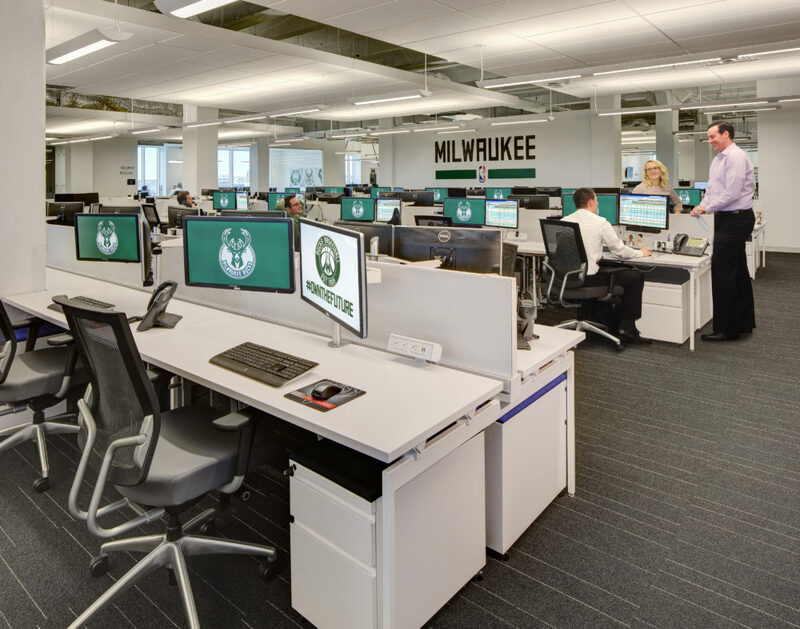 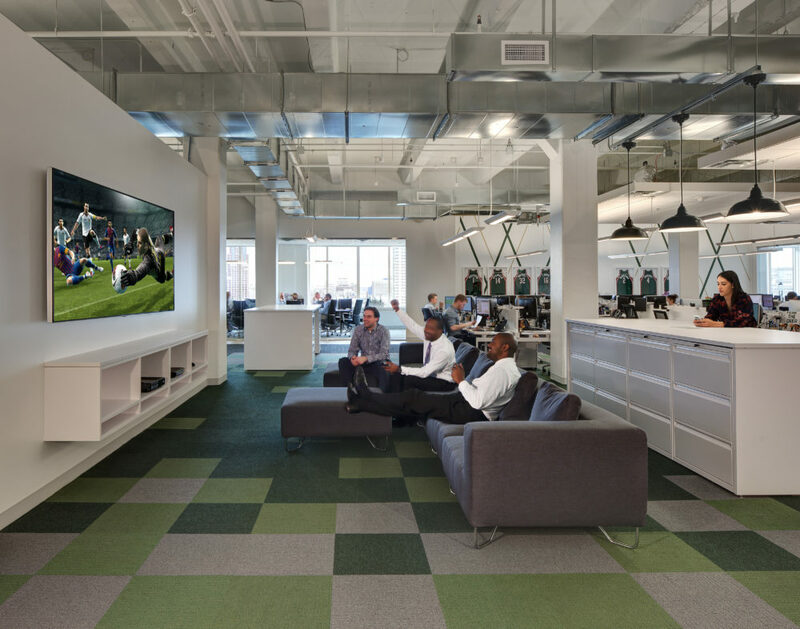 Working closely with the project architect, Creative provided the Milwaukee Bucks with 148 Knoll Antenna workstations as well as Knoll Reff furniture for 9 private offices. 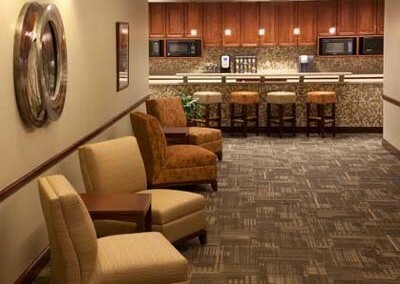 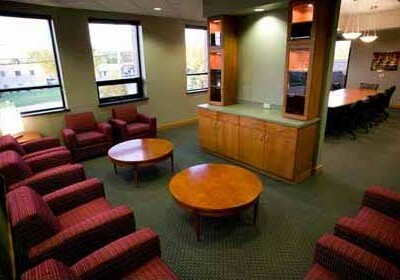 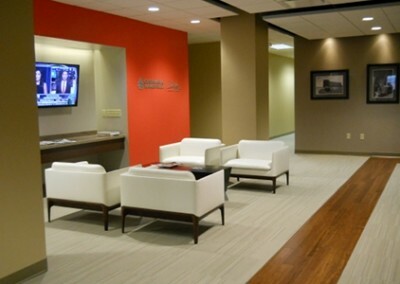 Our team also provided all of the furniture for the Bucks’ lobby, meeting rooms, cafeteria and a lounge area. 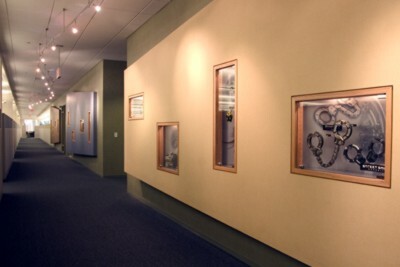 The architect designed the space with white as the major theme. 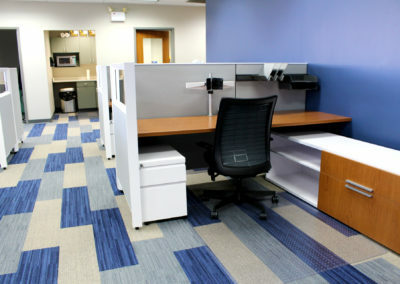 Our team coordinated all furniture finish selections to complement the space. 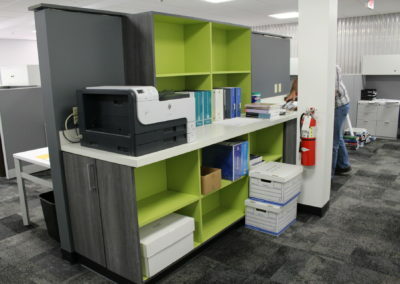 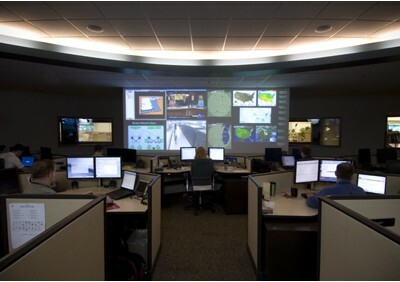 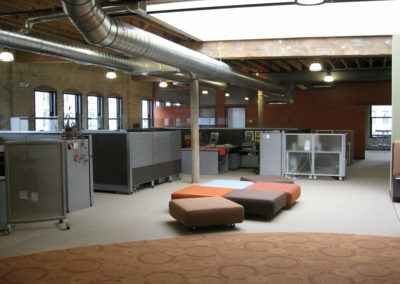 This project had an extremely tight timeframe and required intensive coordination with the architect, electricians, data, and carpet installers for installation of all components.